Kim Kardashian Filing for Divorce After 72 Days? Please. Sometimes, I just can't hold my tongue. This is one of those times. I'll be brief. Maybe it's because I'm in the midst of trying to think up new ways to provide scholarships for all the great campers at RicStar's Camp as we prepare for year 10, or maybe it's because it seems people bolt out of marriages these days at the least sign of discomfort and my hubby and I have joined forces through 35 years of tremendous challenges, including special needs parenting and the death of a child, but news of Kim Kardashian's divorce after 72 days and 10 million dollars and an inability to agree about where to live makes me a bit ill. That money could have done so much good for so many people in need. Thank God there wasn't a child involved in this one. Here's a novel idea. Get married for the right reasons. Photo of me and my hubby. Still together after all these years. The 2011 Toys R Us Differently Abled Toy Guide, with Eva Longoria on its cover, is now available online. Longoria's sister, Elizabeth, was born with Down syndrome, making this a great fit for the superstar special needs sib. Longoria shares the cover with 5-year-old Elijah De Lo Corda, who has Down syndrome. Kudos to Toys R Us for publishing this valuable guide for nearly twenty years, a resource which helps take some of the guess work out of purchasing age/skill level appropriate and fun gifts for kids with physical, cognitive or developmental disabilities. What a blessing for the families and their children. The end result? More smiles on the faces of the lucky receivers. Kudos to the Desperate Housewives star for honoring her sister by advocating for important resources for those with special needs. You can find out more about Longoria's charity designed to enhance the lives of those with developmental disabilities, Eva's Heroes, here. Love it when celebs use their celebrity for good, especially when it benefits the lives of those with special needs. Thanks, Eva! Image courtesy of Toys R Us. Watch the candy corn intake. By looking more closely, I see beauty in imperfection. Special needs siblings are simply the best. 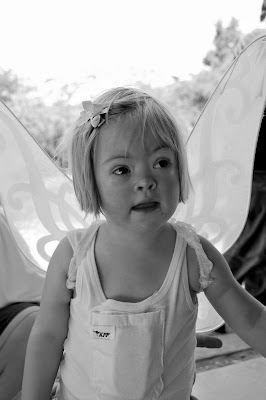 Check out Heart & Halo Talent for actors with Down syndrome, here. Photo courtesy of Gail Williamson/DSALA. In honor of the great awareness of the disability movement being created by the terrific Independent Lens (PBS) program, Lives Worth Living, I'm featuring five weeks of participants from nine years of RicStar's Camp. Each one represents a Face of Ability and a life worth living. First up, RicStar's Camp namesake and my son, Eric, who had a gift for music and cerebral palsy. Awareness changes perceptions, and lives. The Independent Lens (PBS) program Lives Worth Living that I blogged about this week has a good review in today's New York Times. Read An American Minority's Road to Rights, here. The program airs on many PBS stations tonight. Check your local listings for time. Well worth the view, and the review. My husband recently invited me to have a lovely work-day picnic with him at a picturesque roadside park near where he works. We ended up sharing our adventure with some adorable, fluffy, grazing sheep. I wanted to hug them and take one home. 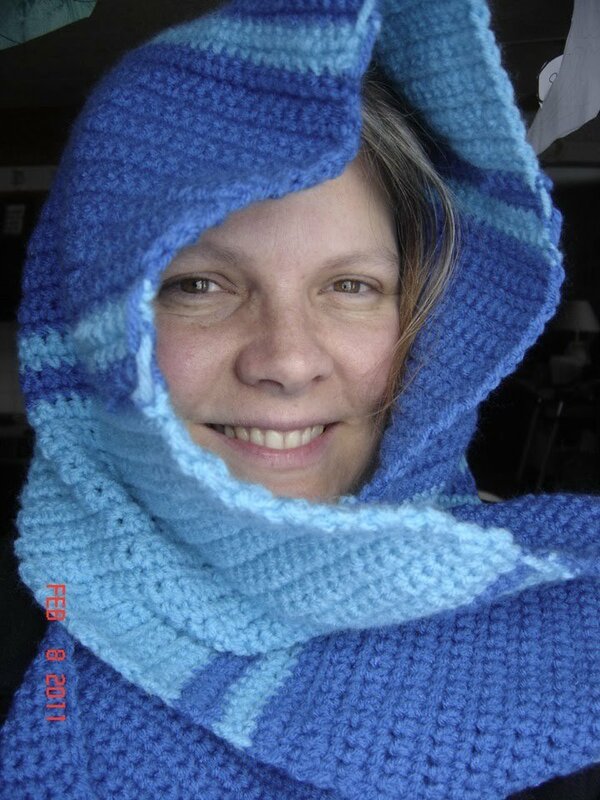 Or at the very least, knit a sweater. Our dog, Jack, wanted to herd them. Another reminder to always have a camera within reach. I'm going back with my zoom soon. Few special needs topics are more controversial than that of medicating children with Attention Deficit Hyperactivity Disorder (ADHD), a discussion that now includes a focus on children of preschool age. An article in today's NY Times addresses this often complex issue and treatment well. Read Drugs to Treat A.D.H.D. Reach the Preschool Set here. Deciding what behavior requires a medical diagnosis and treatment in preschoolers, and what is just normal childhood behavior, isn't always clear cut. That requires thoughtful, educated decision making by parents and professionals. I love sharing positive stories that highlight the individual ability that lies beyond special needs. 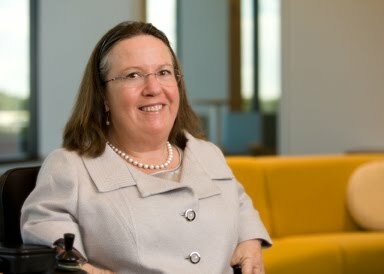 I came across such a piece this weekend from the Grand Rapids Press about philanthropist and disability advocate, Kate Pew Wolters, who among other impressive accomplishments, has a degree in Social Work from Michigan State University. Wolters is chair of the Steelcase Foundation and member of the board of directors of the global furniture company (Steelcase) based in Grand Rapids. She was born in 1957 with a form of dwarfism called diastrophic dysplasia, which adversely affects the development of cartilage and bones in hands, legs and feet. Wolters uses a wheelchair. That's the brief disability stats reality, but Kate Pew Wolters is much more than a disability. She stands just 3 feet 5 inches tall, but the woman has become a disability advocacy giant, and she's living life full out. 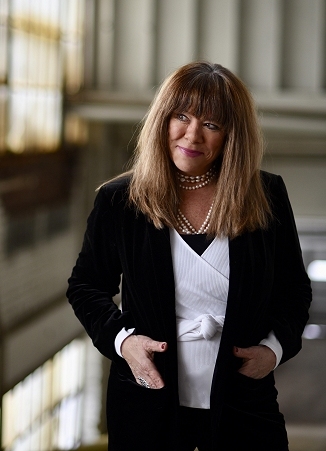 I can't improve upon the terrific feature writer Morgan Jarema penned for The Grand Rapids Press about this amazing woman. So I'l just let you read the piece yourself. Hopefully, you'll find inspiration for a brand new week of focusing on ability, while again recognizing the power of having a family who believes in you. Well worth the read. In honor of national Make a Difference Day, I am sharing a valuable resource with you. Award-winning filmmaker, Eric Neudel, has produced another powerful film for the PBS program Independent Lens, one well worth your viewing. 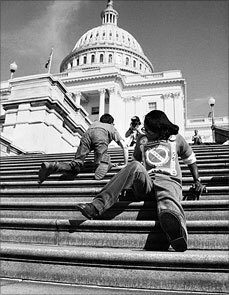 Lives Worth Living captures the oral history of the Disability Rights Movement, something too rarely discussed, and a film long overdue. Far too often, media coverage of those with special needs is relegated to the simplistic, disability of the month, horror stories, or cute tales that are supposed to make us feel like big gains in true equality are being met. Neudel tells the history of disability honestly, as it should be told, including in our history books, allowing diverse voices that have experienced the tremendous challenges and fought for real change to be center stage. The film ends with the fight for passage of the Americans with Disabilities Act (ADA), which was signed by President George H. W. Bush at the White House. on July 26th, 1990. "Let the shameful walls of inclusion finally come down." View the film's trailer and find additional links including a disability movement timeline and the chance to share your own stories of discrimination, here. It's long past time we recognized and addressed the struggles and activism of those with special needs as the human rights movement that it is. There is power in our unified voice. Please take time to check this film out, and share it with everyone you know. We can all make a difference. Photo courtesy of Independent Lens. 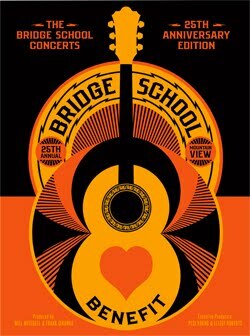 Today's 25th Annual Bridge School Benefit Concert featuring Neil Young, Dave Matthews, Foo Fighters, Nora Jones, Tony Bennett and others will be broadcast live on FB today at 7:30 Eastern / 4:30 Pacific time. You can watch Neil Young and many other top musicians help change the lives of kids with special needs by raising big funds for The Bridge School (see my former post) without leaving your house or buying a plane ticket. It is national 'Make a Difference Day' after all. Rock it out, and help make the world a better place. Graphic courtesy of The Bridge School. Imagine crawling on your hands and knees for nine hours for eleven days straight through dicey terrain in Papua, New Guinea, to raise awareness for the important causes of depression and men's health. That's exactly what wheelchair marathoner and paralympic medalist, Kurt Fearnley, has done. The power athlete, who was born missing part of his spine, credits his family for raising him with a big can-do spirit and for fully including him in life. As a result, he's succeeded at one one terrific life adventure after another. Stories like this one remind me that most of our perceived roadblocks are in our minds, and that through their words and actions, parents hold the power to change the lives of their children with special needs for good. No more excuses. Read Wheelchair Marathon Winner Kurt Fearnley Makes Historic Hike here, and be inspired. Anytime I can reply to an emotional e-mail from a loving parent struggling with the daily demands of special needs and provide them needed support, good resources and validation for the journey, that is a great use of my time. Today is one of those sacred days. All because you were born, Eric. The charming and talented performer, David Arquette, may well have captured a new fan base by appearing on Dancing with the Stars. But he's won me over with his honest discussion about having dyslexia. Dyslexia is a learning disability that makes it more difficult for people to recognize and understand the written language, which makes reading, writing and spelling especially difficult. It is not an intellectual disability. Kudos to David Arquette for speaking out honestly about his dyslexia in front of an audience of millions, creating greater awareness and understanding of this disorder. I love it when people use their celebrity for good. Learn more about dyslexia here. Read more about David & Dancing with the Stars here. Shortly before my son passed away in 2003, we had begun the process of enrolling Eric in a terrific educational program near San Francisco called The Bridge School. The non profit immerses/trains children with severe speech and physical challenges in the use of valuable technology and does so in an inclusive educational setting. Located just outside of San Francisco in the town of Hillsboro, the school will hold its 25th annual music concert this weekend. Headliners for the Oct. 22nd and 23rd Bridge School Concert include Dave Matthews, Nora Jones, Tony Bennett, the Foo Fighters, and others. Jimmy Falon is scheduled to MC on Saturday. 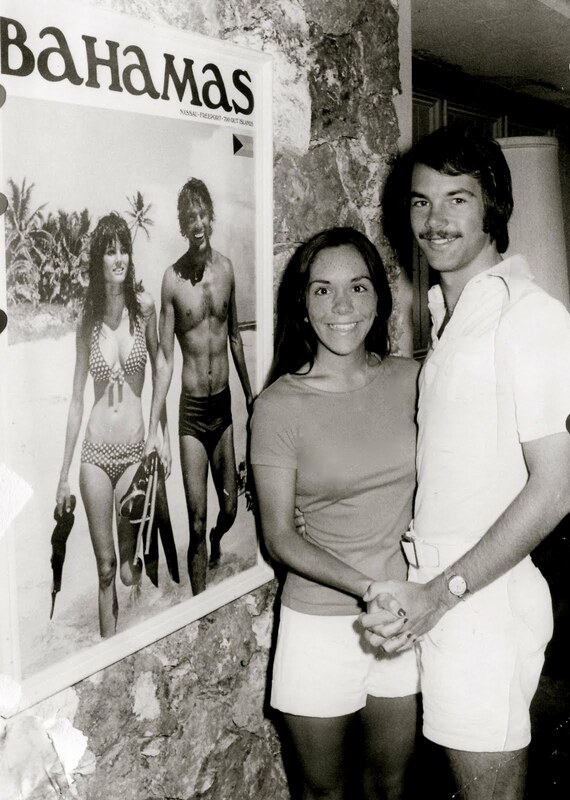 Neil Young and his wife Pegi, whose two children have attended The Bridge School, are the yearly organizers of this exciting musical event, the school's biggest annual fundraiser. You can see the 25th Anniversary concert poster and view a trailer on Neil Young's site here. Find the school on FB here. Posting this today reminds me just how excited we were about what this program could have offered our son. I'm so please the school continues its remarkable mission. Technology continues to open up the world for those with special needs. Event poster courtesy of The Bridge School. Dates for 10th Annual RicStar's Camp Announced! Dates for the 10th annual Eric 'RicStar' Winter Music Therapy Camp, a.k.a. RicStar's Camp, have been announced. 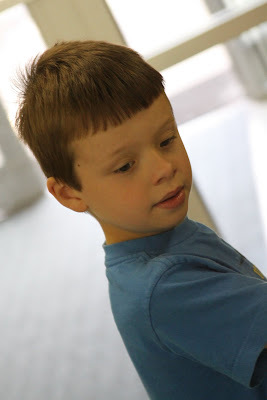 Camp is open to individuals of all ages and all disabilities and their siblings. Our focus is on ability. Camp will be held Thursday, June 14th through Saturday, June 16th. Put it on your calendars and stay tuned for future details about registration. RicStar's Camp has been changing the lives of children and adults with special needs through music for a decade. Huge milestone. Eric must be smiling. I know I am. Fascinating article in the Los Angeles Times about using robots to help with children with autism more successfully connect emotionally with others. Bandit and others like him, may just change lives. I can't help but marvel at the stunning artwork created daily by Mother Nature without the help of the most skilled and talented human hands, like this leaf imprinted by another and discovered on a morning walk. All we need do is slow down and open our eyes to the gifts. Lucky find. What simple blessing will you uncover in your life today? Anyone who has ever struggled with their child's heavy wheelchair will appreciate this simple, funny, yet so sad YouTube video entitled Life in a Wheelchair. 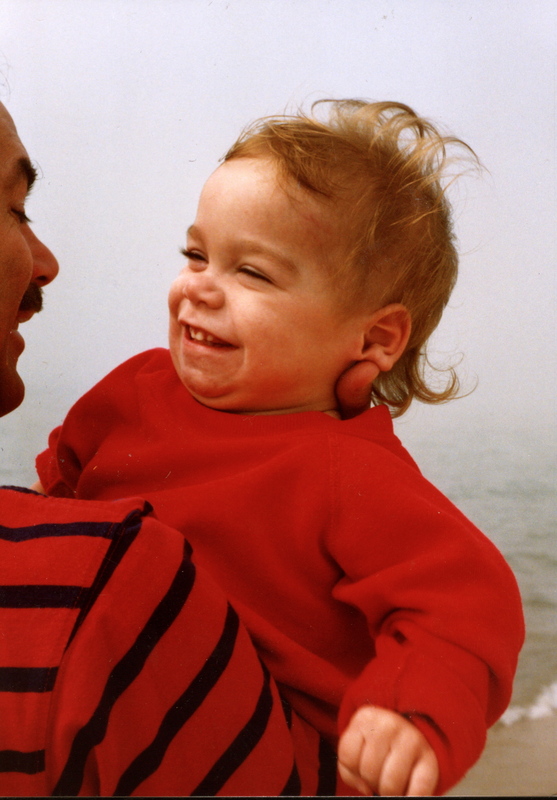 It quickly brought back memories of many tough, frustrating moments for my son and me as we worked hard to move about society like everyone else during the twelve years of his life. The general population should watch this to become more sensitive to the often absurd challenges of inaccessibility face by those with special needs. Accessibility is a freedom most people take for granted. Worth the two and one-half minute viewing time. Watch it here. 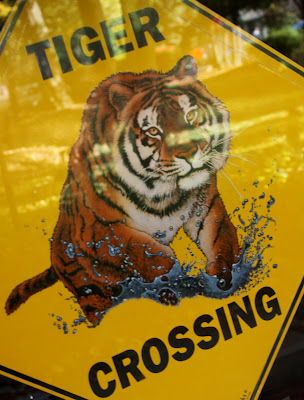 Sign, signs, everywhere there are signs. It's that time of year again! Find out how you can impact the lives of Special Olympics athletes through the 2012 USA Scarf Project one knit/purl at a time here. Thanks for the Ride, Tigers! You raised your bats, gloves and arms with equal amounts of determination, grit and class, and with them the spirits and endorphins of a bad-news weary state and beyond. Pure class. Pure Michigan. Thanks for the great ride, Tigers. World Series won't be the same without you. Photos copyrighted Judy Winter 2011. All rights reserved. Sports Alert! 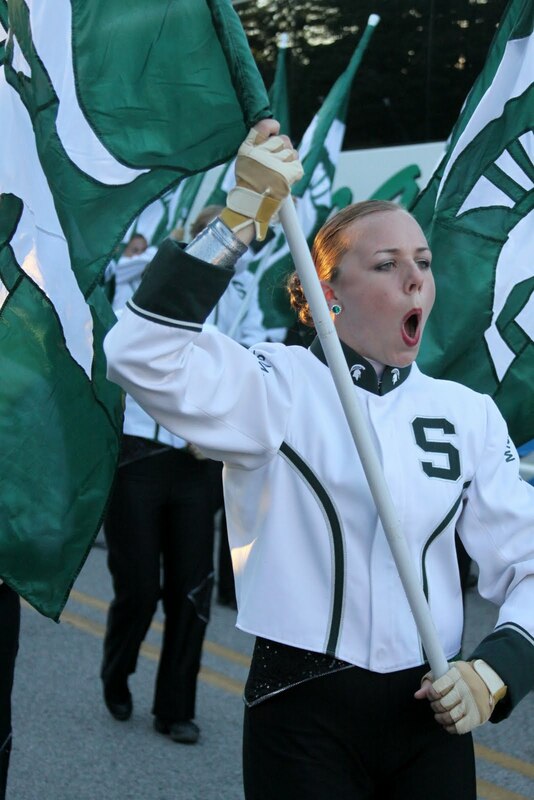 Lions & Tigers & Spartans, Oh My! Lions and Tigers and Spartans, oh my! An embarrassment of sports riches for our great state. Pure Michigan. Hope all three end up in the W column. From my friend and filmmaker, Keri Bowers. 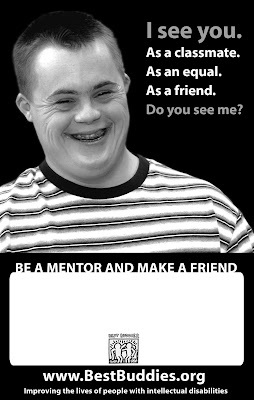 SELF-ADVOCATES WANTED FOR FILM: I am seeking self advocates in the Los Angeles area, with a disability of any sort, to include in my new film "The Spiritual Nature of Special Needs: Special But Not Separate" The film centers on several key questions about God, Spirit, and disabilities. All faiths and views welcome. Find out more about Normal Films, here. A few years back, I wrote a major feature on bullying for the Lansing State Journal before it became a hot topic. What amazed me then, maybe even more than the courage of the students who spoke out honestly for the article, were the adults who said to me after reading the piece, 'these kids need to get a thicker skin.' I've never forgotten that. Today, bullying is still a subject dear to my heart, in large part because kids with special needs are at increased risk for such unwelcome comments and actions because of their differences. We can and must change this mean-spirited, ugly and deadly culture. It takes all of our voices to impact the needed change. No child should be subjected to such treatment in our school hallways, online or at home. Please, take a moment and add your voice here and helps change a child's life. And watch Anderson Cooper 360 on October 10-14 at 8 p.m. for programming on this effort. 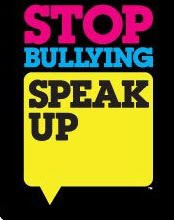 Talk to your children and let them know in no uncertain terms that bullying is not okay. Peer behavior and leadership is big part of the solution to this problem, but adults must set the example. I repeat what I wrote in an earlier post today. Silence changes nothing. I think Sesame Street is still one of the finest children's programs on television. It's no surprise they would be on board with the anti-bullying efforts taking fire in this country. You can find valuable tips and resources and a video of the Good Bird Club here. Think I'll go have a cookie now. 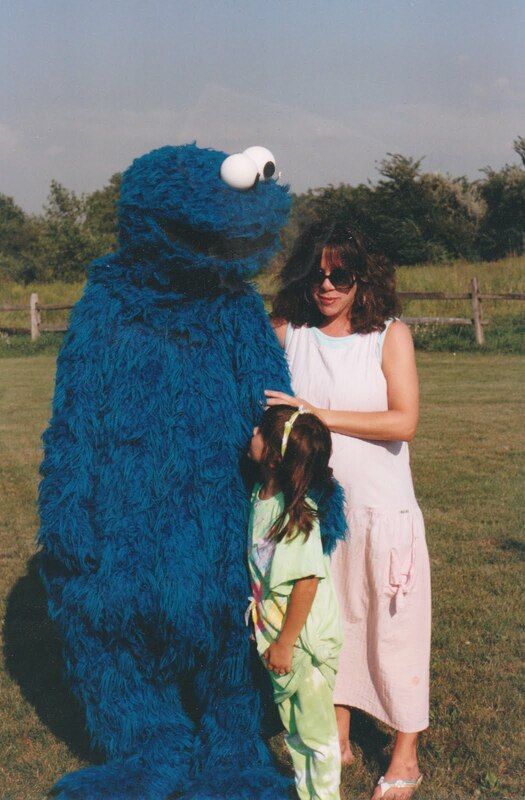 Photo of me with Jenna and Cookie Monster during my days at WKAR-TV. 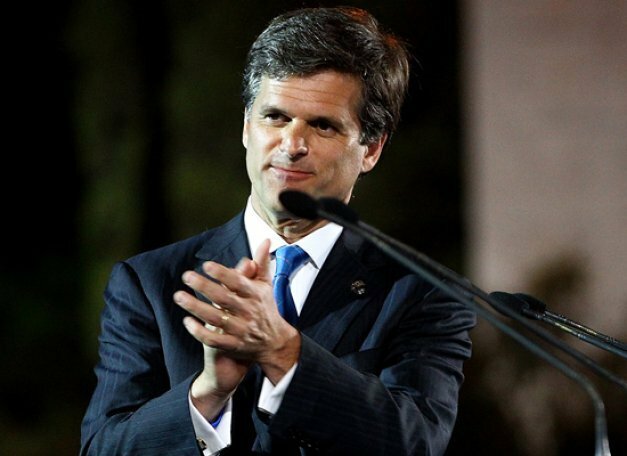 Special Olympics Chairman and CEO, Timothy Shriver, has been nominated as a Game Changer in Education by the Huffington Post. Shriver is being recognized for turning Special Olympics into a global movement. Read the details of all the change agent nominees, and cast your vote for Tim Shriver here. Photo Courtesy of Getty Images. Used with permission. Given my last post this morning, I think it's time to again put out a reminder about the Special Olympics Spread the Word campaign. 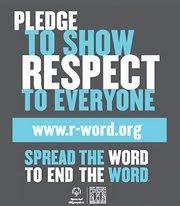 Join the effort to stop casual, derogatory use of the R word here. Words do hurt. Let's change them. When Hallie Levine Sklar heard teenagers using the word 'retard' at her local pool while making fun of those with intellectual disabilities (correct terminology), she did what far too many people don't do, she confronted the teens and set them straight. 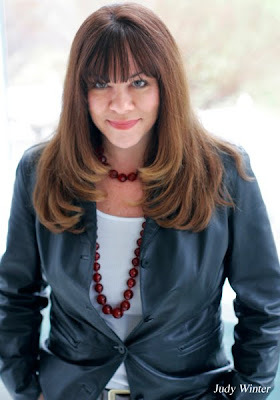 As the parent of a young daughter with Down syndrome, Sklar had an especially vested interest in taking this action and took full advantage of a teachable moment. The reality is that many kids and adults still don't get why it's not okay to use the word retard in conversation, even though it is only used to put others down. Sklar helped ensure that just maybe these teens won't use it again. The article Mom Stands Up to Teens Who Use the Word Retard is well worth sharing, and food for thought for those who think words don't matter. Read it here. You can read Sklar's blog about her daughter, Johanna here. And please, talk with all your children about why they should not use this word, and educate yourself, too. Photo of RicStar's Camp participant by Erik Taylor Photography 2011. This months realizes thirty years of October as Down Syndrome Awareness Month. Find out more about Down syndrome, and how to get involved in October activities here. Kudos to my friends Gail Williamson of the Down Syndrome Association of Los Angeles (DSALA) and her son, Blair, who appeared on this morning's episode of The Doctors television show to speak out against a new controversial plastic surgery to change the facial features of those with Down syndrome. Blair is a successful working actor with Down syndrome. I'll post more about my take on this soon, but it's safe to say I'm Team Williamson. You can find the episode from Are You Crossing the Line? and post your thoughts here. Photo of Blair Williamson with Kym Johnson of Dancing with the Stars courtesy of DSALA. Auditions beginning today for casting real mom and child with Down syndrome in a paid commercial. 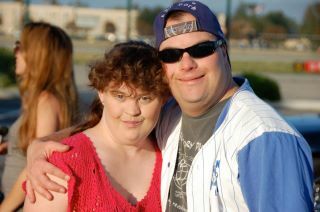 Photo courtesy of Down Syndrome Association of Los Angeles (DSALA). Philip Garber, Jr. is taking two classes at the County College of Morris in New Jersey, where the precocious 16-year-old student was allegedly asked by his professor, Elizabeth Snyder, to stop talking in class. According to an article in today's New York Times, she called his speech "disruptive", and a misuse of the other students' time. Unfortunately, the kind of intolerance, ignorance and discrimination experienced by Philip Garber, Jr., is not reserved solely for those who stutter. It's far too common for many individuals with a wide range of disability, including physical, behavioral and developmental. While we've made great strides in disability awareness and acceptance, we still have far to go to impact lasting change for all those who experience daily such intolerance. I'm sharing Garber's story here in the hope it helps creates needed awareness and lasting change brought about by the masses who read, absorb and then pass it on. After all these years, it still amazes me that sometimes the worst offenders regarding discrimination and intolerance against those with disabilities are the seemingly most educated and accomplished of us, including those entrusted with the sacred responsibility of molding children's futures. Read the New York Times A Stutterer Faces Resistance From the Front of the Classroom here.